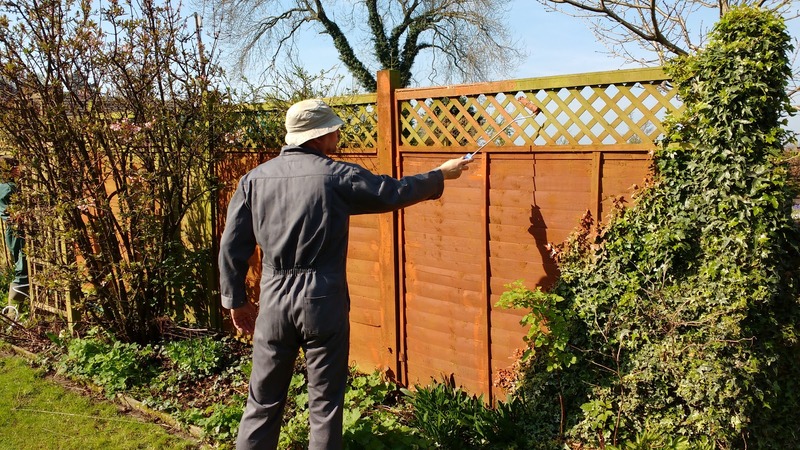 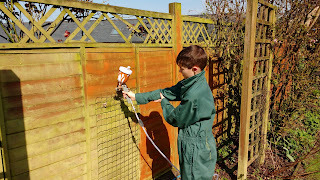 It was lovely and warm this morning so Mark decided it was time the fence was painted. 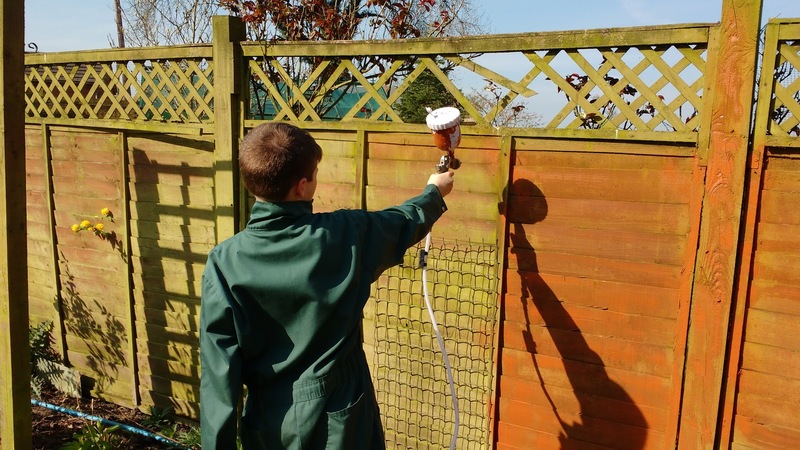 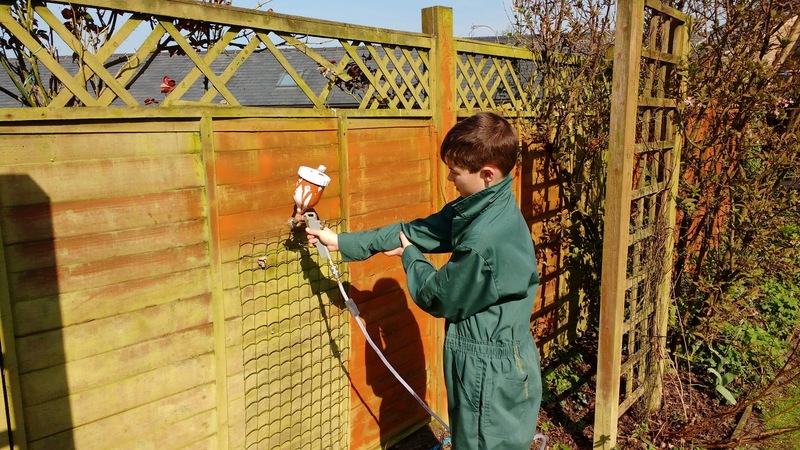 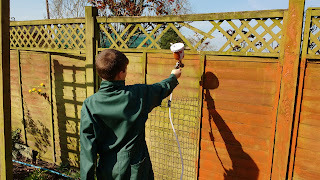 Luke got his overalls on and started spraying the fence and Mark painted the top bits that were difficult to do with the sprayer. 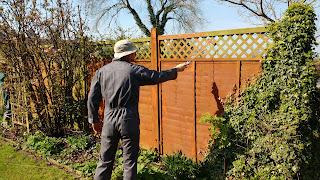 It's amazing how much better it looks with a new coat of paint.